SelfMadeHero is evidently showing no sign of slowing down for the remainder of the year with it’s vast array of planned Autumnal releases. Seemingly fitting with the slightly colder climes we’re experiencing we were particularly intrigued to find out more about their release of ‘Wolf’ by Rachael Ball – the preview pages of which looked amazing. Upon arrival we were taken aback by the sheer volume of the book which comes in at an impressive 304 pages of what has to be said simply stunning pencil illustrations. Eager to find out more we were honoured to get an early look at Rachaels book and delved into the story behind a very ominous cover. 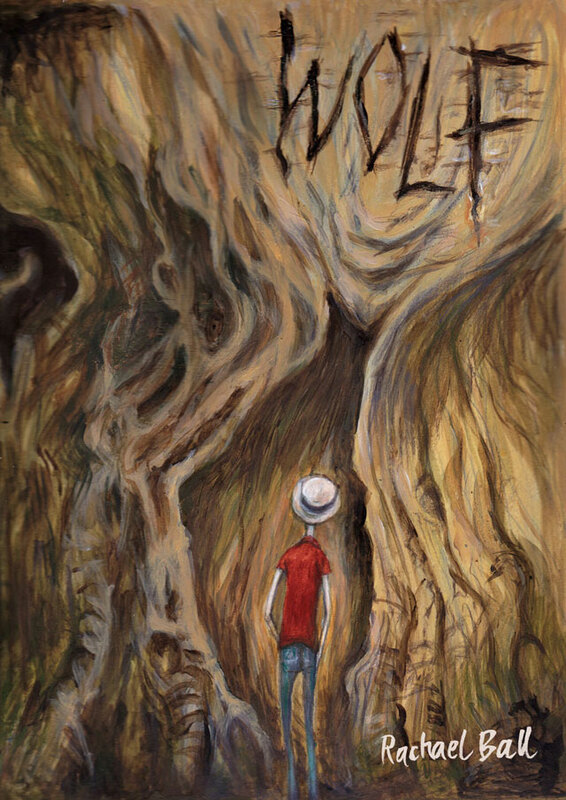 Wolf tells the story of Hugo, a small boy who suddenly has his whole world torn apart by a dramatic tragic accident. Displaced from the life he knew, Hugo and his family relocate to a seemingly mundane suburban street and Hugo becomes fascinated by the character living down the road to him. Whilst the young boy throws his energies into creating a means of hopefully turning back time, allowing him to fix everything that’s gone painfully awry. Wolf is a startlingly emotive book. Rachael’s fine pencil work really draws out the pain and anguish from her characters and the greyscale setting really emphasises the turbulence of the story and Hugo and his family’s struggles. It also paints his new environment as a bleak, imposing landscape to a young child – something which really resonates throughout a story which is primarily about bereavement. The story is also fantastic, blending the imaginary with the everyday. The titular wolf teased at the beginning of the book a wonderful metaphor for the true danger that lurks constantly on the fringe of our lives and could pounce at any time, disrupting our worlds. Though Wolf is a large book at 304 pages we promise you’ll tear through it easily – the pacing is superb and gives just enough time to fully soak up the story and action without feeling rushed or lost.